Totally agree, getting out there is the key. 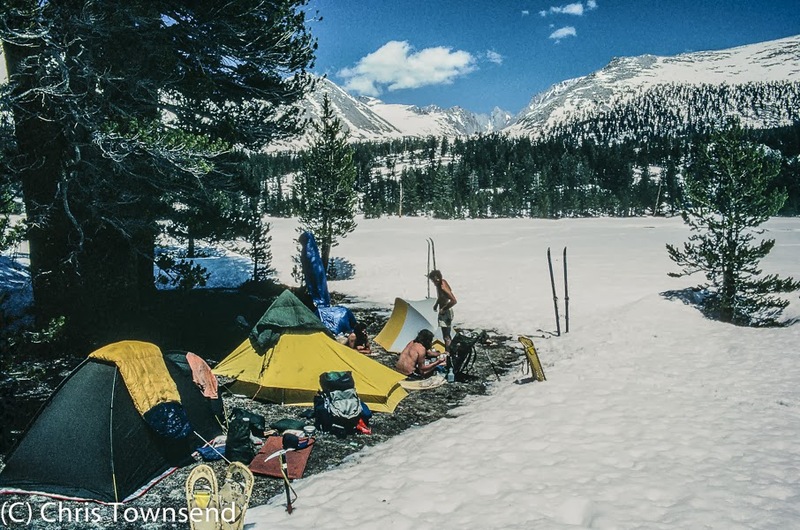 I have camped in my younger days In the clothes I wore, an unnamed sleeping bag with no rating, an A frame tent that weighed a tonne ( not literally ), a multipack bag of crisp and a swiss army knife I was given from my dad. Those were the days. Great insight, I can remember the brand name Buckta for some reason. I can't imagine walking with 5lb boots with steel plates, sounds sore. I think for some to the diversity of kit that is now available can become frustrating in trying to choose what suits your individual needs that's where guys like yourself and TGO come in. It brings to mind my first adventure with a friend at the age of 12yrs, a camping trip to Fife to my uncles farm. 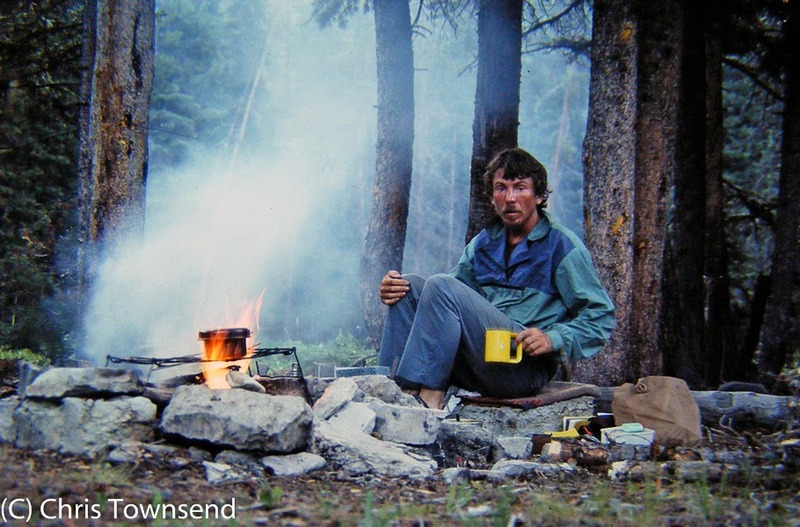 We had an canvas ridge tent "weighed a ton", pack was an ex army canvas bergen, sleeping a old itchy blanket from home, no ground sheet, cooking utensils were army mess tins and my dad's treasured Billy can, we made our own fire, boots were of the tackety variety, duffle coat in case it rained with shorts. Guess where we were camped? in a paddock with four horses, and it was the height of summer(duffle coat) so you can imagine the midgies, and no midge nets then, but this was our big adventure and we thought it was great. Sorry for rambling on Chris, your article brought back a memory that was slowly fading. To add your a brave man to publish those early pictures of a young Chris ;-) there brill, a bygone era, nice one. A brilliant piece, Chris - fascinating to see how kit has evolved. Excellent look at gear development over 36 years. Really interesting. Lovely to see the photo's of some well loved classic early Rohan. I had forgotten all about Xanadu (the Rohan tent). Long forgotten. Thanks Sarah. I'd forgotten about the Xanadu too.Lucky it got mentioned in TGO! Chris, this is a FANTASTIC post. As a "younger" bloke I find changes in kit now only marginal. The changes or evolutions you've posted here is astonishing given the time frame. You sir, are a living legend. This post along with our recent camp vindicates that statement personally. Wonderful post! And more folks should read it. Should be in TGO. Your words at the end are succinct. True. But for a "young 'in" (and I'm not really nowadays) I found this post really enlightening. Even though I remember rather vividly cotton A frame tents and cumbersome packs from my pre-teens ha! Thanks Terry. Of course the original piece was in TGO - in 1999. Thanks everyone. I'm a bit taken aback - and very pleased - at how much interest there is in this. 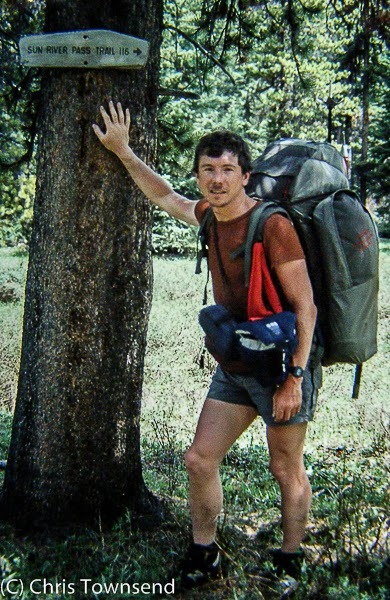 Chris, this is a fascinating read for someone like myself who didn't get into backpacking until the late 90s. The similarity of some of the vintage tent designs to modern Tarptents is particularly nifty. Yes, many things have changed and in my experience durability has declined substantially. With some items I'd agree. Lightweight footwear doesn't last as long as the big heavy boots of the past (though you can still get these if you want). But tents last far longer - the old PU nylon flysheets used to get stiff and crack the coating would peel off after a while) and waterproofs a fair bit longer (I used to go through a PU coated waterproof jacket a year - at least they were cheap). 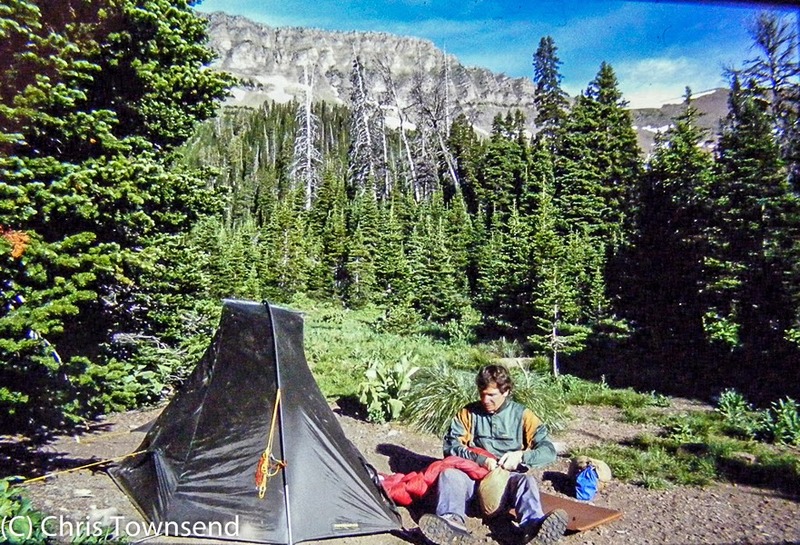 Yes, the old Force 10 tents have sadly decomposed, as have the KSB3s, but my Karrimor Marathon tent (featured I think on a very early TGO mag cover) is still serviceable, and my Phreerunner remains an excellent backpacking tent. Just as well, I don't particularly want to change my alias to 'Solar Competition the 2nd'! Thanks go to Rohan, Terra Nova and others for their sterling efforts to stay ahead of the game and provide great kit and support over the years. 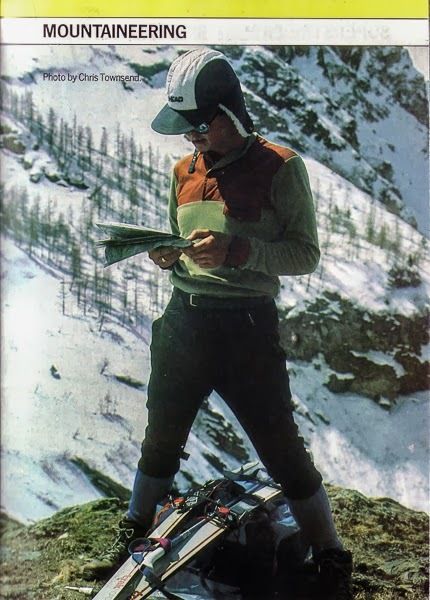 The very first issue of TGO in fact, in a Robin Adshead photo. My Phreerunner expired a long time ago - the Gore-Tex began to leak and there's nothing you can do about that. 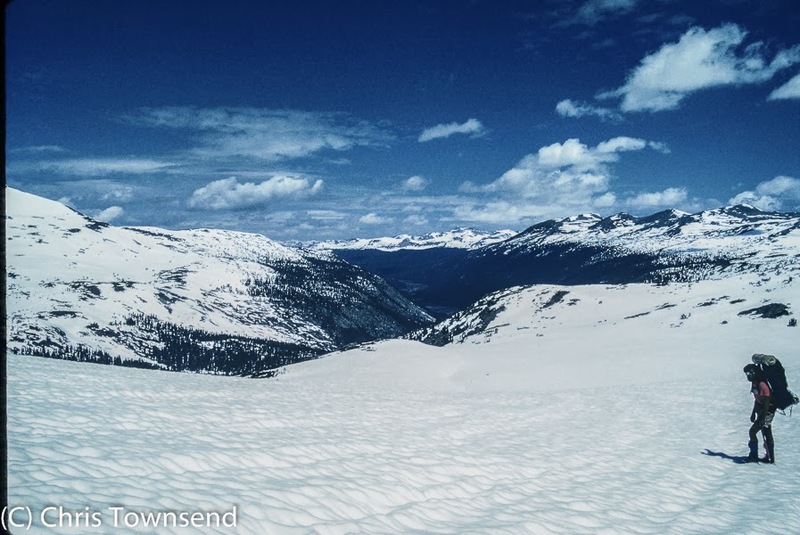 My Phreeranger expired too after two very long walks - the length of the Canadian Rockies and the length of the Yukon Territory - and many shorter trips. I still have a serviceable cotton Vango Force Ten Mk III. Mind you, it's only ever been used for car camping. Surprisingly, my Phreerunner is still going strong. It has been well treated, and well used, though nowhere near as much as you may have used yours. Mine has probably done 200 to 300 nights so far, much more than the condensation prone Karrimor Marathon! Hi, Chris. I'm probably a bit late commenting on this great post, but I just thought I'd say that my Phreeranger lives on! The PU coating died a few years ago. But Marc at Trekkertent has just made me a new silnylon flysheet using the old one as a template, and added a few tweaks and refinements at the same time. I can let you have more details if you're interested. Thanks for that info. Glad to hear one Phreeranger is going strong. Mine is long gone. The biggest change i've noticed over the 30 years i've been buying gear, is that its not built with the same durability as it used to be. I've got KSB's, an Alpiniste rucsac, and a 92 Quasar still going strong. From what I can see, this drop in quality normally coincides with a company off shoring its production. I haven't found much difference in the durability of equivalent gear over the decades except in budget gear, which is much better than it was. 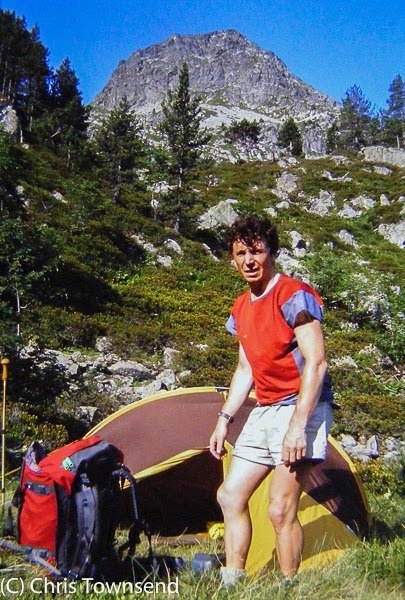 Changes in materials have made the most difference - tent and pack fabrics are stronger than they were. Where it's made doesn't affect the durability or quality. Keep meaning to comment but never got round to it. Lots of nostalgia. I had a Saunders fellpine bought in 82 and find it hard to find a tent as light as that at a cheap price these days. 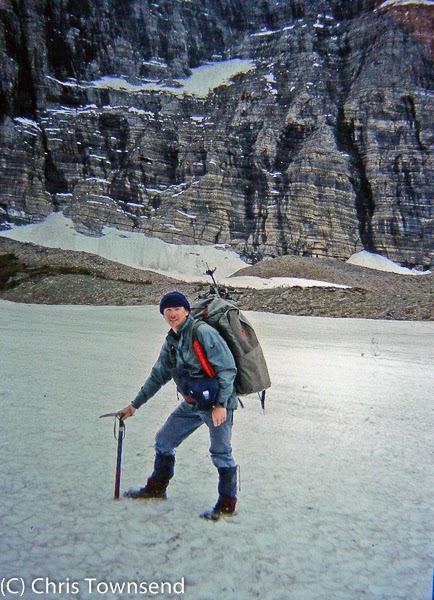 I don't remember my Hawkins cairngorms feeling heavy but I did have fancy sorbothane footbeds in them and as for fleece..there was a time when the only people wearing fleece or pile were mountaineers or roustabouts off the rigs. There used to be a company in Edinburgh who could make you anything in pile. My pile jacket suffered a meltdown thanks to my svea which is still going strong. I couldn't afford Rogan striders but I did have a tiso copy and I got a fetching grey/purple Rohan smock which I am amazed to actually still have. Started off with heavy leather boots. The normal stove was either optimus petrol or primus paraffin. My first tent was Egyptian cotton. My rucksack was canvas external frame. My waterproof was a cagjak and women still wore skirts on the hill.